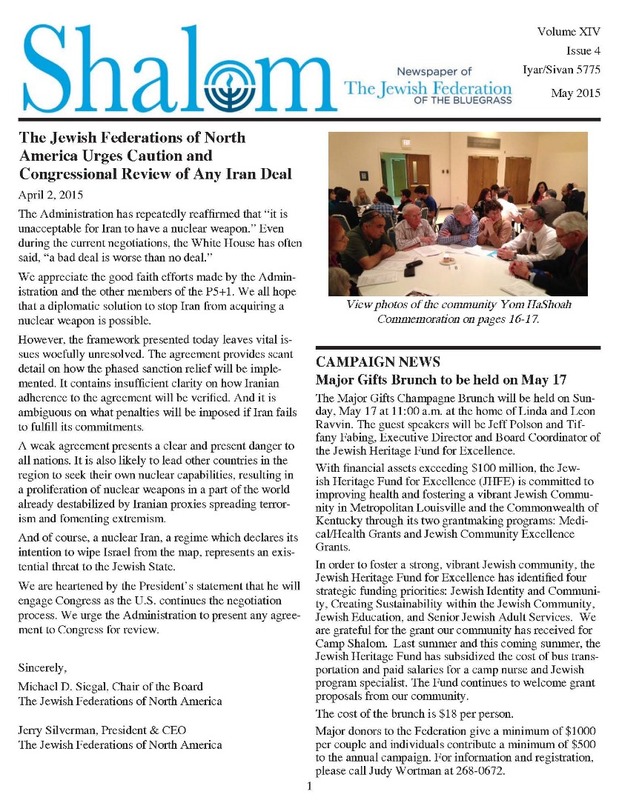 Shalom Archives | Jewish Federation of the Bluegrass, Inc. 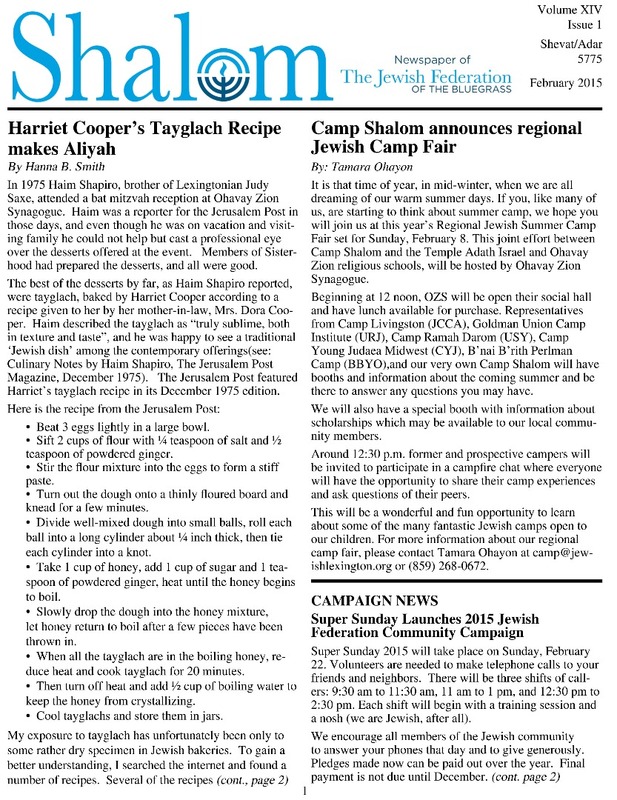 Looking for a specific issue of the Shalom newspaper? Browse the archives. 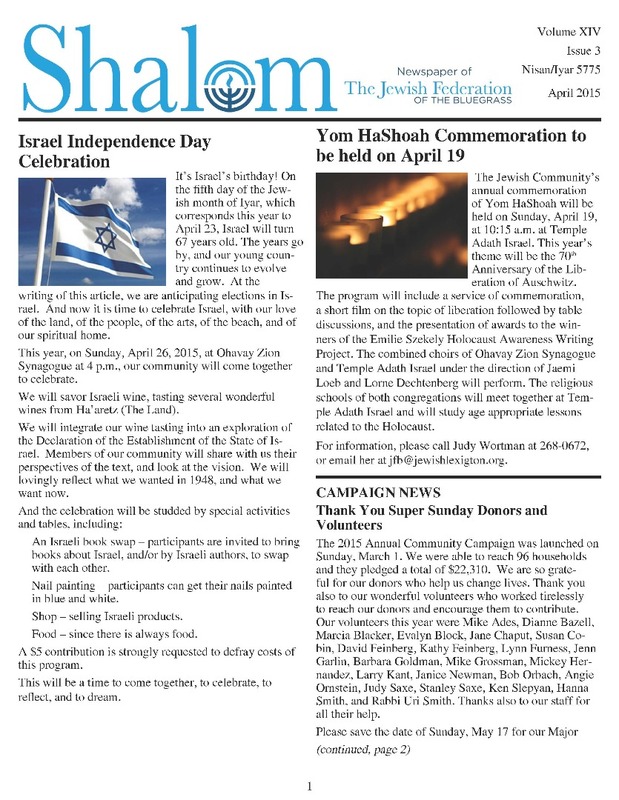 Receive a Shalom email 10x per year. 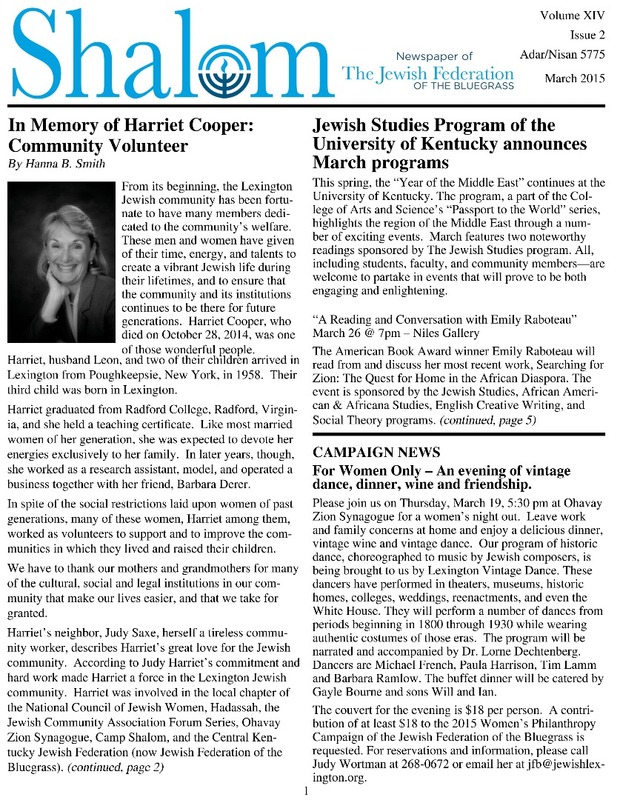 Email with questions and submissions. 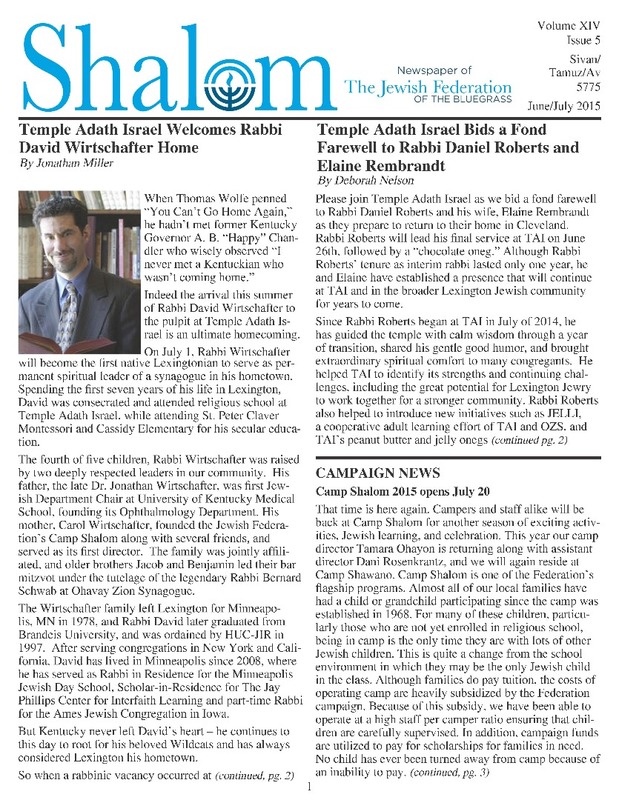 Use the text link below the thumbnail image to open the files online.